RED CLOUD — The Red Cloud Community Foundation Fund (RCCFF) today announced that NextEra Energy Resources, LLC, subsidiary of NextEra Energy, Inc. (NYSE: NEE), has donated $15,000 to the Legacy Endowment. The donation helps the RCCFF meet its goal in the Sherwood Foundation’s Rural Development Philanthropy Challenge. Thanks to matching funds from the Sherwood Foundation, NextEra Energy Resources’ donation will add $22,500 to RCCFF’s Legacy Endowment. The money will help build RCCFF’s unrestricted endowment, which will help ensure that there is funding to support projects and programs integral to sustaining a high quality of life in Red Cloud for generations to come. As of this writing, RCCFF has raised $146,000 and needs to raise another $54,000 by the end of the year to get the full match from the Sherwood Foundation. “At NextEra Energy Resources, we strive to be a good community partner and we are thrilled to have the opportunity to donate to the Red Cloud Community Foundation Fund, which is making a difference in the lives of so many families in this community,” said Phil Clement, project director of renewable development for NextEra Energy Resources, the world’s largest generator of renewable energy from the wind and sun. NextEra Energy Resources owns and operates two wind energy centers in Nebraska, including Cottonwood Wind in Webster County, which, over its’ 30-year operational life, will deliver more than $9.4 million in additional tax revenue for the county. The company is currently developing several other wind projects in the state, including the proposed 250-megawatt Little Blue wind project in Webster and Franklin Counties. The Little Blue project would bring $54 million of additional tax revenue to the counties, over the first 30 years of the project. RCCFF has spearheaded several community projects in recent years, including Heritage Tourism Development, The Valley Child Development Center, the Indian Creek Pond WMA Dock Project, and continues to support both RCHS graduates and non-traditional students looking to advance their careers through their scholarships. Additionally, RCCFF has been involved in improvements to the City Park, lent support to the RCHS Greenhouse project, and donations to the Fire Department. Through Heritage Tourism, RCCFF is the catalyst behind the new hotel downtown project and is the home to RC’s Recreation & Health Committee which has several ambitious goals and is responsible for the popular 5K events during Memorial Day and Street Car Days weekends. 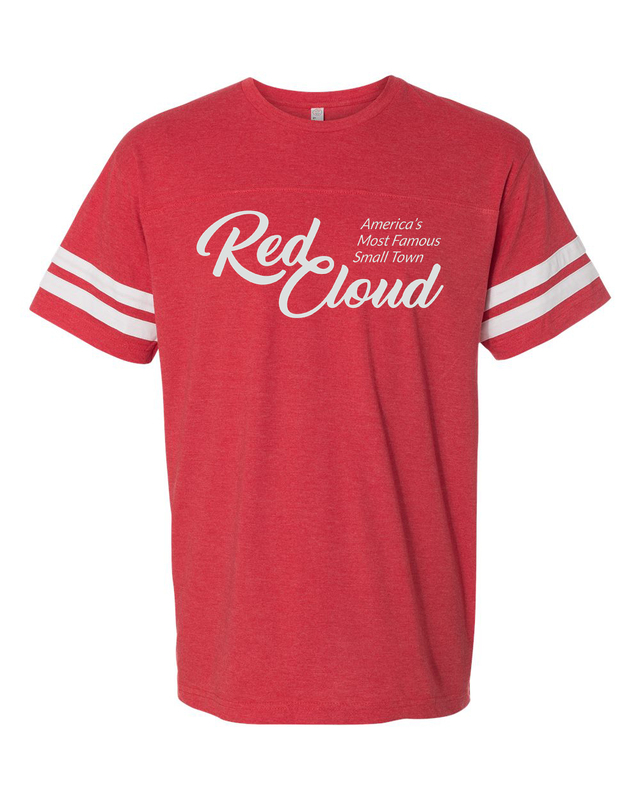 By building a robust unrestricted endowment, RCCFF will be able to continue to support some of the aforementioned projects but will also be able to support new opportunities and meet unanticipated needs the Red Cloud community may have in the future. In order to receive the 50% match from the Sherwood Foundation, donations must be received by Dec. 31st, 2018 though gifts received after that date will still go into the Legacy Endowment. You can donate by sending a check to RCCFF, PO Box 263, Red Cloud, NE 68970 or online at the following address: https://www.nebcommfound.org/give/red-cloud-community-foundation-fund/. If you have questions or concerns or would like to learn more about certain tax advantages connected to charitable giving please contact Jarrod McCartney at 402-746-4065 or Kory McCracken at 402-746-3613.